(Note: This entry originally appeared as part of a guest post series on www.naturalpursuitoutdoors.com.) With two days of fishing left we divided into two groups in order to drift to waters we’ve been on previously and to prospect new areas. (Note: This entry originally appeared as part of a guest post series on www.naturalpursuitoutdoors.com.) One of the best things about fishing the Ruby Valley is the range of options that are available. 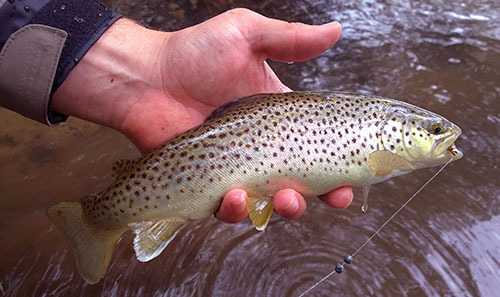 Want big, bruising browns? Want smaller, elegant brookies? Waypoints are, by definition, intermediate points on a route or line of travel. When traveling along a path – known or unknown – they are used to chart progress, stay on course or navigate to something familiar. This site is a digital trail of my outdoor and life adventures. Each entry is a waypoint. Copyright © 2019 BRADISLES.COM. Powered by WordPress. Theme: Spacious by ThemeGrill.